When social enterprise is introduced to a developing community by starting small, socially conscious businesses that promote job creation and social good while making a profit, the vicious circle of poverty is brought to a halt. 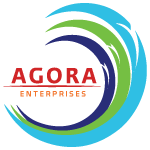 Agora Enterprises gathers talented people, organizations, and top-notch tools to construct a network of services for entrepreneurial support and development. A profit and social good driven organization that leverages the power of business and innovation to generate economic profit and measurable social impact. Social enterprises hold the business and social missions in tandem. Social enterprises are run with integrity and the value and dignity of people at the forefront. We provide world class business training to entrepreneurs looking to build a business of social and economic impact. We provide training via the Lean Canvas through Lean Startup Principles. We help our entrepreneurs develop solid business plans and tools needed to increase the likelihood of them receiving outside investment. By providing business mentoring to our entrepreneurs, we allow for investors to know where the company stands, the risk factors involved and how the money will be used in the company. 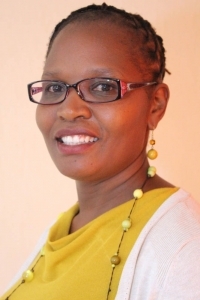 Ms. Prisca Muyodi is the founder and director of Educor Kenya Limited. She is passionate about early childhood education and is primarily responsible for Educor’s conceptualization, execution and growth to date. Her global work experience and exposure combined with her local upbringing have equipped her to create a unique value proposition for the selected market niche. Agora Enterprises provided Prisca with an intensive Lean Start Up training that allowed her to use the lean canvas to get a better understanding of her business and where she needed to improve. Agora provided her 1 one 1 business mentoring to help build upon the concepts of the lean canvas. Through Agora, Prisca was able to put her business in front of outside investors and increase her chances of receiving funds. Educor Kenya Limited is an Early Childhood Education (ECE) provider, located in Nairobi, Kenya. Founded in 2010, the Company operates three schools in Nairobi: Brookside Montessori Centre, Gigiri Montessori House and Brookside Preparatory School. The nursery schools offer early childhood education based on the Montessori planes of development and the preparatory school offers the British National Curriculum. About 8 million children in Kenya are aged between 0-8 years (about 21% of the population), and about 30% of school-age children in this age group are enrolled in private schools. There is opportunity to scale up and build a network of pre-schools offering both the Montessori and KHA systems, positioned to cater for the upper-middle income parents, who appreciate good quality schooling and are willing to pay a reasonable premium for it in these underserved areas. Over the last 6 years, Educor has established a reputation for quality pre-school education. Pupils who graduate from Educor’s schools do extremely well in preparatory school, and a good source of Educor’s current enrollment has been from referrals by schools that these students transition into [Rosslyn Academy, International School of Kenya (ISK) Braeburn and Premier Academy all recommend Educor to prospective pre-school parents]. Having multiple campuses will grow Educor’s competitive advantage even further. marketing and branding activities to strengthen its position in the ECE space in the market. 80% of startup businesses fail, but with Agora Enterprises, 80% of startup business succeed.